Our Homeschooling Days are LONG — How Long is YOUR Average Homeschool Day? Overall our school year is going pretty well so far, but every day seems to be so busy and so LONG. Maybe you can tell me what I'm doing wrong? Everything takes up so much TIME! Language arts is a breeze for our daughter, but math is where she struggles, so I need to sit down with her every day for 45-60 minutes just in that one subject. Our 10th grader is like our grown son in that he's not a visual learner, so when he has assigned reading he'll do it, but if I ask him about it later not a lot “sunk in”. If I really want him to learn it, I need to read it out loud TO him, and this takes up a big chunk of the day, too. (I know I need to find more books on tape, but they're not always readily available for the reading he has.) Our youngest can do some stuff independently, but of course the three of them need lots of help with their other subjects, too, usually it's at least 6 hours jam-packed every day! The kids do take breaks to go run outside and we eat meals together, etc., but each day just feels so full and so long. I know I could just cross things off our lists, but I can't blow off everything or they're not going to learn what they need to! I'm up at 5:00 am to do my own computer work each morning, and then once I wake the kids up, I barely have time to get dressed, make meals, and throw some laundry in, let alone pull off all the other stuff Moms need to each day. Plus I'd really like the kids' days to be shorter, too! I know that you unschoolers will tell me to chill out, let them learn and explore on their own, etc., but I need more routine and know I'm not the type of Mom who could pull that off and turn everything into “a teaching moment”. I need the structure, I just don't know how to decrease the stuff we need to get through each day. 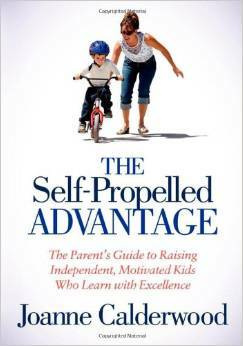 I've been reading more by the author of the writing program mentioned above and am getting her book: The Self-Propelled Advantage — The Parent's Guide to Raising Independent, Motivated Kids Who Learn with Excellence. She says that her kids taught themselves all of their high school subjects, and those already in college got crazy-high ACT and college entrance exam scores. Of course I have to wonder, maybe she just had gifted kids anyway, though. I'll let you know what I find out as I read more. p.s. Catch all my posts about our homeschooling journey here. Thanks Tahira, I’ll check it out, looks very interesting! My kids do better doing more of fewer subjects. For example, they do math, language arts, and foreign language on a daily basis because of the repetition/practice needed for those subjects. For other subjects, like history, geography, science, and other extras, they take them one or two at a time and just do more of each subject. They find it easier to focus on 3 – 5 subjects at a time rather than 4 -6, even if it means spending a little more time on each. I hope this gives you something to consider. I’ve been homeschooling for awhile now and have been really thinking about things- not if it’s the right thing (it is for us) but how to make it work, what’s really important and how much is enough? I’m thinking that we put a lot of pressure on ourselves because we perceive that we have to keep up with what we “think” is being taught in public school and what we perceive the world thinks homeschoolers should know. I’ve come to think that the gauge should be “are we moving forward?” If the math book didn’t get finished but the child spent time building things was there an overall forward movement in knowledge? That was the philosophical part. Now a few practical things- in math maybe have them just do half the problems (like the odd ones) and if they can get a certain percentage correct (you decide- anything from 80-95%) then they can move on to the next lesson. That keeps them from being bogged down with too many of the same thing. If they don’t meet that requirement then they need to re-read the lesson, look up videos (Kahn Academy is one example) to learn it better. Put some of that responsibility back on the child and if they still don’t get it then you can get involved. One of the things I’ve hoped to achieve with homeschooling is to teach them how to learn on their own. If they know that they can learn anything. At this point (5th, 6th and 9th grades) they work fairly independently. For your son, maybe bumping him down a few grade levels to make it easier to comprehend the material? I think even taking a break from the harder curriculum reading and working on comprehension on easier books would be time well spent- then you can jump back into the curriculum. Maybe the easier books could be along the same historical lines as his history that way he is still getting a base that will doubly help him once he returns to the curriculum. Or just slow it down and allow more time (not rigorously following the schedule) Remember- it’s not “getting behind” if you are working on a specific skill that will help in the long run. And I would think that 6 hours a day would be about right for a high school student. Anyway, this is long enough. Just some of my thoughts. What grades, what subjects and what curriculum? I am not a home schooler, but I am a former high school English teacher. The commenter who suggested that your 10th grader read aloud is on the right track. There will come a point where he will need to internalize that voice and that’s where books on tape can be helpful; they can listen and see at the same time. Also, it’s helpful to find books that are high-interest: the more motivated he is to read something, the better he will retain it. It also helps, when in this phase, to aim a little below his actual reading level when selecting books. This will reduce his stress when approaching material and allow him to have some early success which will build confidence. To increase comprehension, have him read a chapter (or section if chapters are long) and then summarize it to you either in writing or verbally. Go through sections or chapters ahead of time and mark places where he can predict what might happen next or evaluate why characters are behaving the way they are. Identify words he is unlikely to know and have him make inferences as to their meaning using context clues. For more academic reading, have him take notes as he reads and then summarize it back to you using his notes for reference. My son struggled in 3rd grade with reading for detail; he could tell you the bones of the plot but couldn’t tell you how old the characters were or what color their hair was, or the name of the dog or whatever. What helped with him was for me to read ahead and make up a 10-20 question quiz for each section that focused on those kinds of details. It took about a month, but he finally began remembering more detail when he read. He needed a lot of practice seeing the type of detail he needed to read for. You can do something similar with your son, showing him what he’ll be responsible to know when he reads. As to the math, 45 minutes is about normal for a math class. 60 would be even better, but all my kids in the public schools get about 45, even in elementary. I would be happy to help you with suggestions for high-interest reading material for your son. Just email me. Homeschooled my son 3rd grade through HS (he started college at 16). The first few years we did have long days and I heard about other moms who schooled till noon, then had free time. Wondered why we couldn’t do that. But it just didn’t work for us. Each kid is different. My son needed to take more time with certain subjects, needed a lot of one on one time at first, and frequent movement breaks, games etc. I crossed out needless repetition in math worksheets in particular, having him only do certain problems. Many things like that. Even so he’d often have reading assignments to finish up after dinner. You have to adapt whatever planners and curriculum to fit your childrens’ needs and then do take frequent breaks to enjoy the outdoors. Kids do need to move around so some assignments may need to get done late in the day after some fun was had. I taught public school music and Spanish for 6 years. I’m starting on my third year of homeschooling 2 days a week (my kids go to a Classical School the other days), and to me homeschooling is A LOT harder than having a classroom full of public school students (and I don’t do it full-time)! At least in a public school classroom, all kids are in the same grade. You aren’t having to teach multiple subjects to multiple students at multiple grade levels at the same time. Plus, if you have good classroom discipline, having high, achievable standards for the students, they engage more, and there are relatively few discipline issues (at least in my experience). But to discipline your own students, in your own comfortable home, it can be hard to find a balance between being a mom and being a teacher, and you are both. The homeschooling student will also talk to the teacher (mom) in a way that is different than he/she would talk to a public school teacher because their is a lifetime of familiarity with mom. I guess I just wanted to shed a little light from my small window on why a teacher in the public school might be having an easier time than a homeschooling mom. You’re right, that is probably very true!!! Thank you all who have shared great advice so far, I’m going through it little by little. I had one friend say to me, “I read your post this morning, is it really worth it?” I replied right away, “Absolutely it’s worth it. If it’s tough for me with 3 kids, I certainly don’t want them in a room with 30 kids where the teacher is only focused on their test scores and not what’s best for each individual kid.” I didn’t go any further than that, but obviously, as I’ve shared in all my posts on this topic so far, there is a lot more that did and does go into this decision. It’s not that I never question myself and whether or not I’m giving them what’s best, but I always come back to YES, this is definitely best for us even though it is NOT perfect and it is NOT easy many days. I have read this book and I think this woman has the right idea. Let the kids take more and more control of their own education. I love her urthmom.com home school daily planners and have been using them for a few years! I’ve also read “The Brainy Bunch” and recommend that book – a large home school family (9 kids) who know how to “think outside of the box.” Instead of doing high school at home, they put their kids into COLLEGE starting at the ages of 9-12. This is my 13th year of homeschooling and my oldest just entered college, my youngest is 12 and just began 7th grade so we still have 6 more years to go. My youngest still requires me to help him some, but most subjects he does on his own. This has really freed me up. The Charlotte Mason style is what I use the most. It is a good solid education, but it is less intense, allows more flexibly, but still has structure. You may want to consider maybe doing less of the actual curriculum (doesn’t sound like it is a great fit for your family, your children have different learning styles, you are stressed and it is taking too long to complete), by pairing it down and supplementing it with other things, or go to a different curriculum. For your audio learning child, consider supplementing with documentaries. I had to do this with my oldest son. He was having trouble with things sinking in when reading. The library and Netflix are full of documentaries. My son learned so much from them. I guarantee, he learned more from 1 hour long history documentary, then he would have from reading for an hour. Also if you have them take notes while watching the documentaries (I didn’t do this enough! ), this is good practice for college when they have to take notes and if it is handwritten, it will help it stick in his brain better. Another resource is a Kindle. Many of the Kindle books can be set to read to the kid instead of having to read them. If you decide to switch curriculums, look for ones that will work with the learning styles and will allow your children to work more independently. I really like Queen Homeschool Supplies for our family. Most of them do not take a lot of time each day, they are Biblically based and they allow my child to work independently. And I think it is important to allow for room in the school day for them to follow their own interests through reading, videos, audiobooks, internet research, computer games, board games, experimenting, whatever. Many times, my kids learned far more from that than they did from the actual curriculum. I had trouble with this at first, but I finally realized I needed to relax and let them learn. It came as a major epiphany when one day, my oldest was playing with this multiplication game instead of doing his school work. I started to tell him to put it down and then it clicked and I asked myself what in the world was I doing? Here this kid had trouble with multiplication and he was working on it without being told and I almost told him to stop… just because it wasn’t what I thought he should be doing right then? I realized then, I needed to relax more and let him have some freedom to explore. But I still needed the structure to make sure the bases were covered and to make sure he was learning each subject. But some years they spend more time on some subjects than others and then the next year, we will make up the imbalance. I truly hope you can find a balance, because this doesn’t sound good for your family. I’ve only been doing this for about a year now. But our goal is to dig deeply into each child’s interest using project-based homeschooling. This may be a good alternative for you instead of going straight into on schooling or formal curriculum. There are many reasons to doubt whether forcing a child to learn something is even beneficial to them. Doubt as to whether they will retain the information, and doubt as to whether it doesn’t possibly even do damage to their love of learning and self-image. For us and I’d argue for anybody, the goal should be a child who finds what they’re passionate about, and digs deeply into this interest, and learns this thru experience and with the help of an adult mentor (you and your husband, and then specialists as well once they know who to ask). This will prepare them for the real world, for work that they enjoy, for pushing through obstacles towards a goal that they’ve set, for success in life. I really really would dig deeply and ask yourself why the curriculum is even necessary. This doesn’t mean you unschool – I don’t agree with unshool either. I think children deserve adult mentors who are going to help engender the virtues perseverance as well as the skills for getting the information and techniques that they may need. It just means it doesn’t come out of the box. And it means that you have to learn how to be a mentor. But in the end the goal is an independent learner and a self-starter. If they need to know math for what they want to do theyll learn it. And if they don’t need it why forced them to learn it? It’s very unlikely that they’ll use it, and it’s very unlikely don’t even remember it. That’s wasted time and that’s frustration and energy that could be directed toward something much more meaningful and useful. Good luck! Oh, Also check out Penelope trunks blog. She’s got some values that you and I wouldn’t agree with. But she’s got some crazy good insights into what it takes for people to succeed. She’s a courageous woman who left a high salary job to raise her two children. And her blog Chronicles this journey. This is my first year homeschooling but I wanted to share how things are going with my four. The two older kids head to their desks in the morning and work on math for 2 hours. They are not allowed to ask for help and if they do, I simply tell them to read the instructions again. 100% of the time they figure it out, so far. One set of problems took my oldest 3 days to finally sink in and she redid the lesson each day. They then have an hour of writing and grammar that is done independently by one which I later check and talk about. The other one sits with me for 45 min to an hour. Then they continue on with two hours of reading plus vocabulary independently. One has reading comprehension problems as well, so I tell her to slow down, visualize, read out loud, tell me about what you’ve read. If it isn’t working, she’ll need to reread the book. I try to find questions off the internet I can ask to evaluate her comprehension. If not, she has to write an essay after the book is complete. When we do other subjects, it’s a short lesson to all the kids together and not everyday. 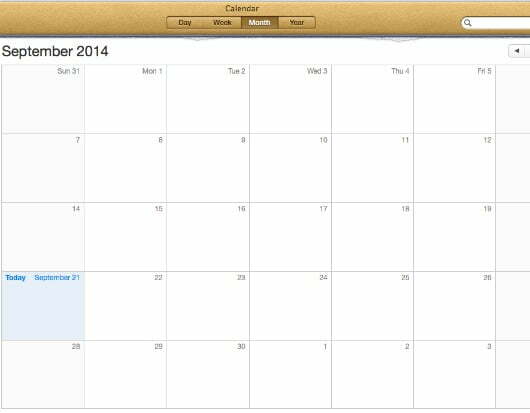 I haven’t actually started other subjects yet but plan to after all their basics are more routine. The older two are finished usually around 1:30. My younger two need more one on one. I spend close to one hour first thing with my 1st grader, then the next hour with the kindergarten. They do math independently for the most part but I have to quickly explain what to do. They also spend a little time each day doing xtra math.com. Then the third hour one reads to herself and one does various independent learning. The final hour with the “littles” is usually reading out loud to me or some computer work and phonics. They are finished by lunch, whew!!! I am free to do some things now or plan a short group lesson in science for them when convenient. They have music with another lady once a week. I have to say homeschooling would not work for me if the kids could not do a lot of it independently. I have seen a huge difference already, and the motivation is finishing before public school lets out. To them, that is their reward, to have more time to seek their own self interest. I am a former home school mom of 2, having home schooled a son and a daughter from K through high school graduation. My son has now graduated from college and my daughter is in her second year in college. I have a couple of ideas for you to consider. If your 10th grader learns better by having material presented through his auditory channel rather than his visual channel, you can try having him do his reading ALOUD. Have him go to another room (so he doesn’t disturb anyone else) and do his reading out loud, to himself. He’ll be getting the material through both visual and auditory channels simultaneously. If that doesn’t seem to help, you may need to consider using a different curriculum, for at least some of his work, that teaches more through that auditory channel. There are, I believe, some computer-based curricula in which the student can either read or have the material read to them and they often have really good graphics and computer visual aids that help keep the student’s attention and reinforce concepts even when the student is reading. You might also consider utilizing a computer-based program or two for the other children so that they can be a bit more independent in some subjects. And/or also consider allowing an older child to work with a younger child on a particular subject while you work with a third on something else. With a young child who struggles in math, you may just need to commit to working for a set period of time and calling math done for the day even if the lesson isn’t finished. Just pick up where you left off the next day. Or work on odd problems one day and even problems the next. Also, remember that you do NOT have to do every problem that the textbook gives for every lesson! If the child demonstrates understanding of a particular concept, just do a few examples and move on! Also, since most math texts spend quite a few lesson at the beginning of the book in review of material that was presented the previous year, I used to let my kids take the first test and, if they scored high enough, skip the lessons covered on that test and then the second test, etc. until I found the place where they did not demonstrate understanding. We were usually able to skip quite a few of the initial lessons in a text that way. In math, there are also curricula available in which you purchase the text and then a separate DVD with a teacher explaining each lesson and working example problems.etc. so that you do not have to do it all. One final way that I found helped both my children to work FASTER on their math was to let them do the problems on a white board with a dry erase marker. I got them small whiteboards, about the size of a notebook, and they could work one or two problems at a time on the board and then I’d check those. I have no idea WHY this made math go so much faster, but it did! It is certainly easier to erase mistakes on a white board and the contrast of colored ink against white background is easier to read. I hope you find some of these suggestions useful! If I can be of help, feel free to contact me with specific questions! The state requires four hours so we do four. But classes really only take about two. That is not to say that it was always like that. Some seasons would require every minute of four hours a day. But I would rather leave some classes for summer than go beyond four. The kids would get too frustrated with a long day and begin to dread school,which made the problem ever so much worse!